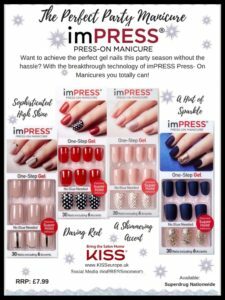 Achieve a no fuss, perfect gel manicure every time with impress Press-On nails from KISS, this party season. The one step peel and apply process, is glue free to keep nails strong and healthy, it is THE flawless manicure for that hectic festive time! I for one love these nails and was so impressed with how they lasted well over a week without coming loose at all. 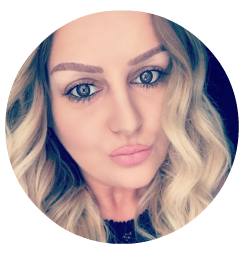 See one of my favourite styles below. A little tip is to really make sure you do not touch water at all for a few hours and they will last so much longer. I always apply mine the night before and firmly press down on each nail for a few seconds. My hands would be constantly in water and they did not budge!